Meant to put this one up sooner, Internet. Sorry about that! Anyhow, here’s part two! I have a terrible habit of dragging all my action figures out before I need to go and do something else. Since the story isn’t over yet, I will leave them all out so I can pick up where I left off when I return. It really creates a huge mess. 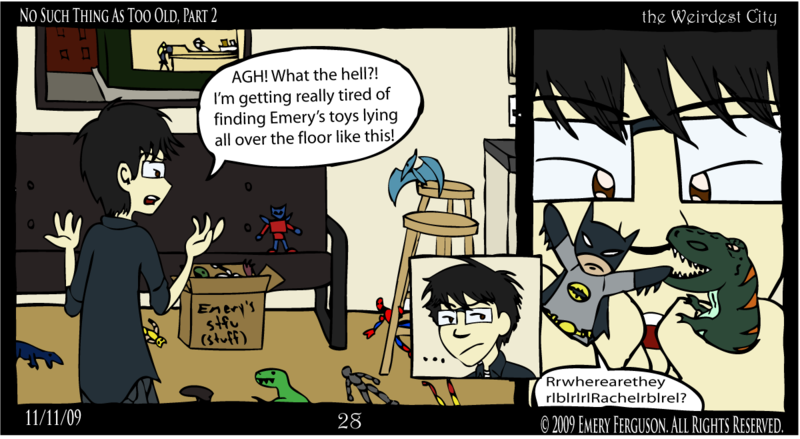 Anyway, here’s what I imagine would be a likely scenario if I were to leave my toys lying all over the apartment’s floor. I mean, would you be able to resist? The last part goes up on Friday!